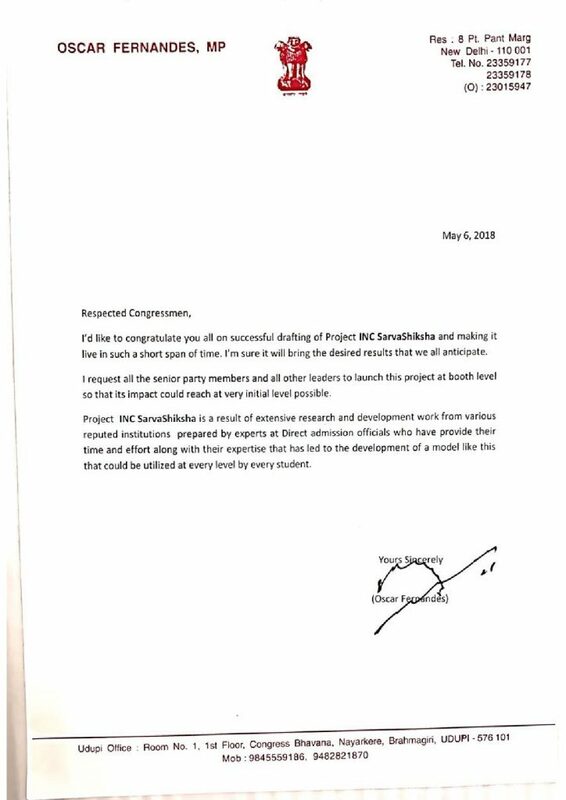 INC Sarvashiksha, a national level project, inaugurated with the blessings Shri Oscar Fernandes Sir. It was a vision to provide a platform accessible to all students seeking career guidance and advice from the very initial level possible. Our project INC Sarvashiksha witnessed a massive participation by the Karnataka students in the latest Karnataka assembly polls. A state with immensely talented youth having big dreams in their eyes and big hopes for their future. To make those dreams come true, this project INC Sarvasiksha will help them live a life and lead a generation that knows What they are doing and what more they are capable of doing. As it’s rightly said, know yourself before you try to know anyone else. Thus, with our project that would help the students of Karnataka to make good career decisions and would lead them to the path of success. It is a matter of pride and great pleasure that, today we are at a platform where we can contribute to the betterment of the nation simply by empowering its youth population. This can only be done when we start to work from grass root level, harnessing skills and shaping talents at the very initial state. Starting from schools, where any student learns his first set of values, know about ethics and develops his though and mindset. This project of ours shall empower the same population of young generation that is going to be leaders of tomorrow for our nation. 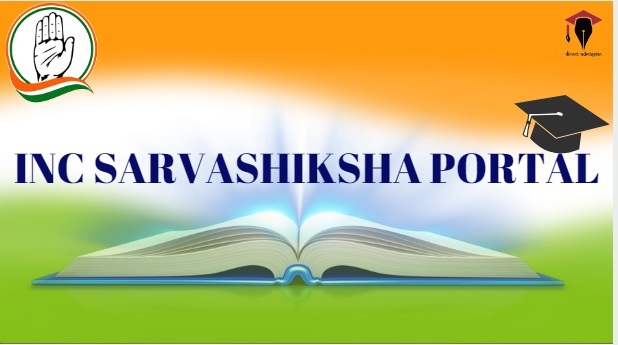 Project INC Sarvashiksha is developed by career counselling experts form India and world’s leading education institutes and is a result of extensive research and development work put in by the DIRECT ADMISSION officials. It’s is a platform from where we can contribute to the betterment of the nation simply by empowering its youth population. This can only be done when we start to work from grass root level, harnessing skills and shaping talents at the very initial state. Starting from schools, where any student learns his first set of values, know about ethics and develops his though and mindset. This project has been architected to empower the population of young generation that is going to be leaders of tomorrow for our nation. Under INC Sarva Siksha is a very advanced level online psychometric career assessment test that has been drafted to cater to the career counseling need of every youngster who can benefit from it at any career point he might be at. It is called Career Assessment Planning, Counseling and Guidance Test (CPCG) is a Department of Science and Technology, Government of India recognized, online psychometric test that evaluates a person’s personality based on five factors, namely, orientation style, personality traits, aptitude profile, interests and emotional quotient. A child is assessed on the basis of if he’s an extrovert or an introvert, if he works more on the basis of sensing or act on intuitions, of he’s more of a thinking type or feeling type orientation style and at the last, if he perceives more or judge more.Thus he/she knows, which career path will be a best fit in accordance with my personality. Thus they receive a good guidance and confidence level to go with that choice. As it’s rightly said, before knowing anything else, first know yourself. Only then, something big in life can be achieved. Next in the series is a revolutionary product named Kota Online Coaching Program is a compilation of Online lectures of Medical and Engineering Coaching Institute’s faculty of Kota, Rajasthan in the video format that the students can avail in the comfort of their homes. No need to travel thousands of miles away from home, pay for the rent, coaching, travelling, mess etc. Live/ downloadable video lectures of teachers teaching at the institute are uploaded on a regular basis to keep up with the pace of changing syllabus pattern and weightage of different topics. India with a population of 1.25 crores faces extreme shortage of doctors and engineers. This project of ours a very small but visionary step to work towards the requirement that, if filled, could provide with such great talents who want to excel in this field but are unable to proceed due to various financial issues, or location preferences. Preparation for national level entrances at home without compromising on quality but getting it done very economically is the USP of our Kota Online Coaching Programme. Thus, to be able to completely help a student thoroughly career wise is covered by our complete registration kit that includes the CPCG test, online videos topic wise covering the whole syllabus along with an associated test series of the topic/subject. Although the inception of this idea/model had not been long but the only principle behind this that kept It going was to be able to help those young minds who feel lost in today’s ultra competitive world. For the successful implement of this project and make its presence feel all across the state, we are thankful to everyone involved for their immense contribution and help.